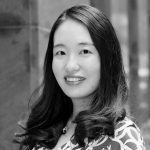 Jing Li joined the CPC Learning Network in June of 2018 as the Program Officer. Jing comes with over nine years of experience in providing administrative and financial support to grant based children and health programs. Prior to her current position, Jing was the Associate Program Manager at Project Sunshine, where she managed the organization’s community based pediatric service programs in US and China, providing services to 100,000 pediatric patients and their family members. Jing holds a Master’s degree in Social Work from Washington University in St. Louis and a BBA from Renmin University of China.